4 Inch Tile Series would be the new trend and popular choice for 2018. We added pure color series (Classic White & Black, Pattern Linear, Cross Junction, Zip Connection) and playful geometric tile series (Pattern Forest, Railroad, Windmill, Fiddle) to this collection, fitting different customers’ styles. T4-GW-PC composed of glossy pure white triangle mosaic chips in 4 inch, designed in a cross junction pattern, perfect to make a beautiful wall decor for your home. All is in details! Versatile Can be used for both residential and commercial. Recommended for both wall and floor installation. Patented Design: For this geometric tile series, we create unique patterns of our own and they are all under design patent protection. In future research and development, more colors will join the family and there will be more space for imagination. 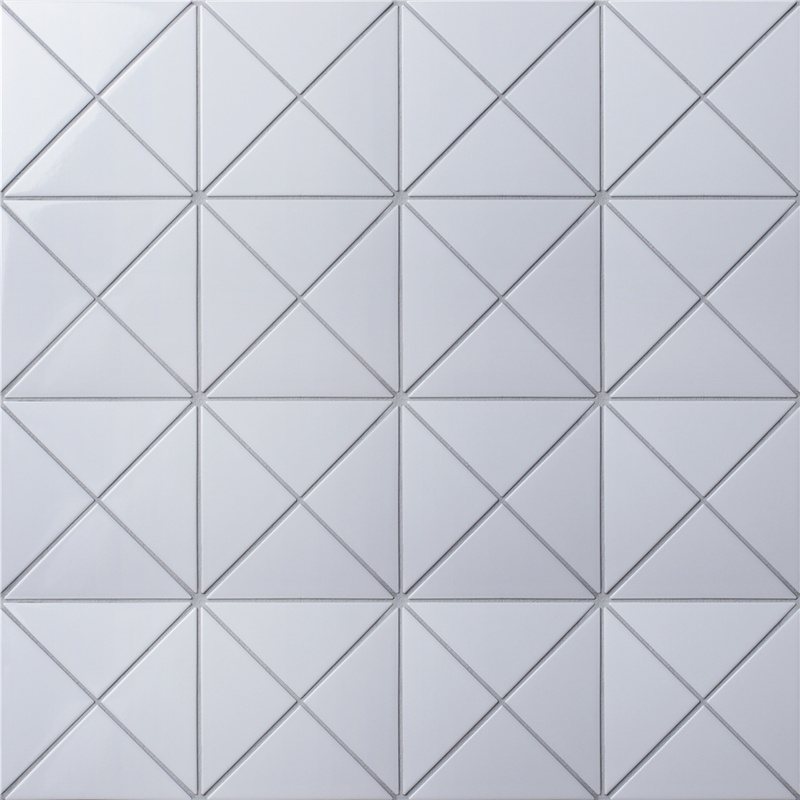 The 4″ white triangle wall tiles look great! How much is it per sq.ft? Hi, for more tile price and details, please feel free to contact us [email protected].